Water-smart development typically includes planning, design, and incorporation of water conservation, water reuse, and stormwater capture features. Building water-smart development involves use of high-efficiency indoor appliances and fixtures, installation of water conserving landscapes, and ideally, compact, mixed use design. Water-smart development uses substantially less water than conventional development without sacrificing what may be considered important amenities like parks and attractive landscaping. There are a number of examples of vibrant, livable, well-planned water-smart communities in the West. One of these is Civano in Tucson, which set aside 35% of the development as open space, is compact and mixed use, captures rainwater for landscaping, and is landscaped with native and low water use plants. This design results in much lower water use compared to a typical Tucson Water customer, as well as a reduced summer peak demand. To advance water-smart development, municipalities can offer density bonuses and other incentives. The Master Builders Association in the Seattle area runs a Built Green program and partners with a local water alliance to offer $1,000 rebates for homes built to WaterSense New Home Specifications, which is an important component of a water-smart design. Many communities offer incentives in conjunction with Green Building rating and certification programs whereby developers earn credits by incorporating energy and water conservation features. Often these are linked to the national LEED (Leadership in Energy and Environmental Design) National Rating System, which was created to promote development of high performance sustainable buildings. While Green Building programs are better known for energy conservation features driven by federal initiatives that have been in place for some time, they also include water efficiency components. Green building programs are widely accepted and can serve as a model for a program focused on Water-Smart building. Incentives may include expedited plan review, reimbursement of fees associated with related certification requirements, planning assistance, and public recognition and awards. The City of Austin, Texas developed a Green Building program and rating system in 1991 that promotes design, construction, and purchase of green homes by working with architects, builders, real estate agents, and the public via a marketing, education, assistance, and recognition program, which provides an incentive to incorporate green building features. 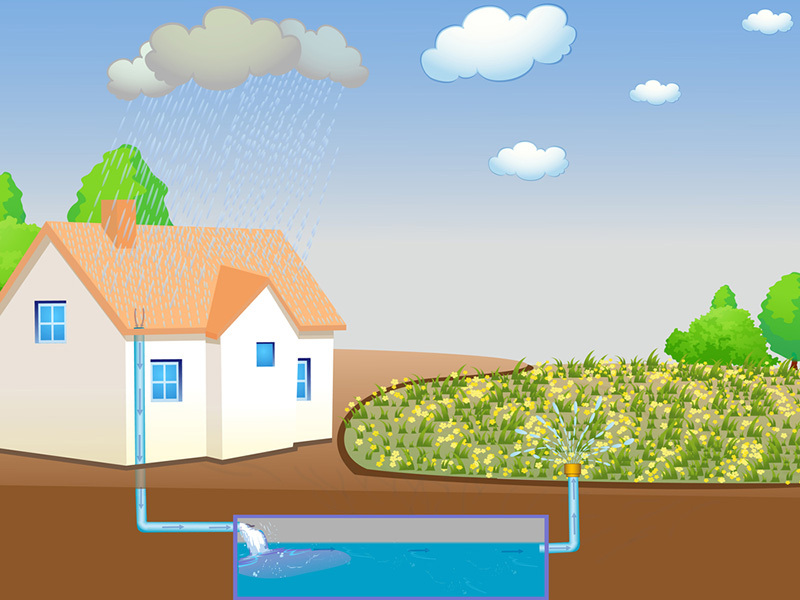 The water rating components include on-demand hot water systems, ultra-efficient plumbing fixtures, limits on turf grass, efficient irrigation systems, rainwater harvesting, and use of non-potable water for irrigation. The City of Chandler’s interest in sustainability led to it adopting a voluntary green building program that involved a public and developer participation process. The program goals include private sector green building certification and enhancement of green building by the City. The program includes a number of incentives to promote green building. The City’s incentives for private development are based on LEED certification standards. LEED water efficiency standards set indoor and outdoor water efficiency reduction goals with more points awarded the greater the reduction. Chandler offers expedited plan review for LEED new construction, commercial interiors, schools, and core and shell projects according to specific criteria and plan review timeframes and responsibilities (in core and shell projects the developer controls the mechanical, electrical, plumbing and fire protection systems, but not design and construction of the fit-out). To support green building as a marketing tool, the City provides awards and recognition to participants on the City website and provides signage during construction and for the finished building. Projects are also eligible for LEED certification fee reimbursements, which vary based on the rating level achieved, with gold and platinum projects eligible for 100% fee reimbursement. Chandler’s planning and development department also offers non-technical assistance to project applicants to help with the certification process and general requirements. Chandler recognizes that the City needs to be a green building leader and requires new City buildings larger than 5,000 square feet be built to LEED silver standards or higher if the payback period is ten years or less. Typically, any additional LEED costs are recouped in much less time. In addition, low water use fixtures are installed when needed at existing City facilities, and landscape conversion and irrigation efficiency improvements are also considered when feasible. Chandler provides assistance to the development community through a designated planning and development department green building coordinator and through educational and outreach efforts. Information about the Seattle-area Built Green Rebate program can be found here. What Are State Trust Lands?